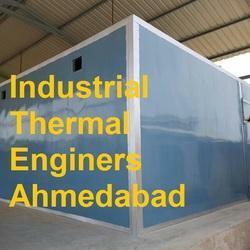 Prominent & Leading Manufacturer from Ahmedabad, we offer paint oven and paint baking machine. 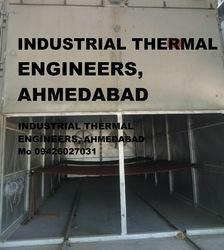 Customers can purchase the provided extent of Paint Oven from us. This product is manufactured with the mixture of best quality element and modern innovation. Customers can avail these ovens from us in varied specification options as per their requirements. Keeping in mind the end goal to ensure quality, the offered oven is strictly examined on different set quality parameters in order to offer best product range to our regarded customers. Packaging Details: As per customer need. We are highly occupied in providing Paint Baking Machine to our respected customers. It manufactured at modern premises under the supervision accomplished experts in tune to the sector predominant standards. The offered product is accessible in various options to choose from. Apart from this, we are offering these products at pocket friendly prices to our esteemed clients. Type of baking oven continuous or batch type. Packaging Details: wooden box packaging as per international standard. Looking for Paint Baking Machine ?